Do you want your house divided flag to hang vertically rather than horizontally? We can help! 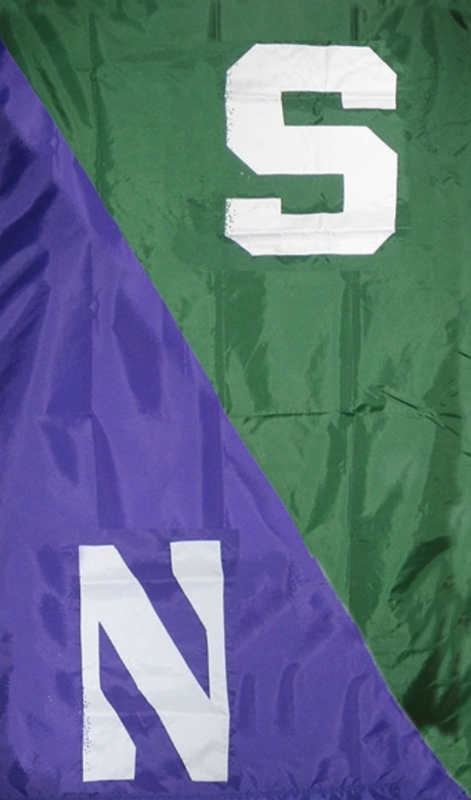 Most hand sewn style schools can be positioned as a banner style flag. The sleeve finish (only option with custom banner) is sewn across the top and the size is 5' long and 3' wide. Click here for some examples of our hand sewn custom banner flags. Contact us to learn more about custom hand sewn banner style flags and how to place your order! Enjoy our first college football Saturday of 2015!